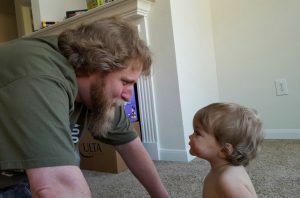 Grampy and Little Bear, on LB’s First Birthday in April in Texas. First, the formatting on my WordPress stuff needs updating after things settle down. I’ve never changed it from the original lotus design from 2010. It looks like shite in the browser and the mobile too, I’m guessing. I’m really struggling with overlay at the top of the post, so I’m dropping in this adorable snap of my wondrous second of husband Chooch Schubert and my magical GrandSon, Codename Little Bear, from his first birthday in April 2016, while visiting he and his parents in Texas and helping them move in to their own place. Second, I’ve been reading through an intentionally broad spectrum of political/current event articles* as much as I can over recent months. Until recently, I followed all the candidates on Facebook, to ensure I understood the persona they had whipped up for us to vote for in the election. I was reading what the lone red candidate posted along with what Bernie Sanders posted, and the other final half dozen or so, until they dropped out or until I gave up on them as a viable candidate. I now only follow Bernie and the other blue candidate. I know all I want to know about that other candidate and I was left angry and sad, so I called “uncle” and don’t follow him anymore. *covers ears*closes eyes* You have no power over me. LA LA LA. Hopefully you never will. LALALA. The tv news is annoyingly laced with opinions. I just want facts, simply told, so I started searching online when I could. I think the biggest surprises was the number of articles applauding Baby Boomers (and older) for holding on to “traditional values” instead of becoming zombies like everyone younger than them has become in our wonderful country. The relevant articles vaguely point their fickle fingers of blame for society failures on younger citizens (65 or younger, I guess?) Nothing is actually reported, so the news items were incorrectly flagged. They were opinion pieces that were entirely effective in page interactions. In some cases, hundreds of comments on them, not counting facebook likes or shares. To my eye, the more vague, the more comments of agreement it would get. As if, in my non-scientific, loopy newsing, the less specifics given, the more it was cheered. And as always. the true horrors of society lies in the misspells, missing words, exclamation marks, trailing ellipses everywhere instead of where they make sense, name calling, judgment, and a lack of responsibility and/or blame after being in charge for decades, right in the comments. As if 1 + 1 does not equal 2, almost. Many times, I downright struggled very hard to make sense of the twisting logic, even when my brain was clear. They paint different pix of how badly we young’uns have destroyed the country they built. They call us zombies because we aren’t smart enough to do what they say anymore. I guess they aren’t getting the perks they used to get from us all, while we struggle to help younger generations in our own struggles? In my very small sampling, our elders are being encouraged to mock the very children that they conceived when they banged without birth control; that they raised, and that they taught values; ethics; and parenting. Cause and effect, they taught us that, too. And they laugh at us for turning out the way they, and society as a whole, taught us to be? I guess I’d feel hurt if I didn’t already know the info in the blog post / news article was discredited, if the comments were legible, and/or make sense, or if in any way they were they plausible in an realm of possibility. It’s spin-control, or my brain is more than broken trying to logic it. Either way, I yield. Uncle. Tell yourself whatever you need to sleep at night. Because I don’t think any of it was/is intentional. We’re all just winging it. Aren’t we? That’s the American Dream now, to survive with your baby chicks, without a net. Translation, if this turns into more insults for “Millenials,” I may delete without comment. But I don’t care. I’ve heard enough of it. They’re just trying to survive the world we’re giving them. Instead, let’s take an honest look at the causes of what we face, take accountability (myself included) for the mess, learn from the mistakes of the people that have been voting and leading our country for the last bit of American history because of out-of-norms birth rate handing most decision-making to their whims. I’m disappointed in myself and my own generation for not having improved things for future generations and I apologize often. But where has any of that gotten us? Simply read the news for that answer. So come on, Gen X and younger. Let’s enter this election with both feet. If you are a parent, you are compelled to be more vigilant to protect the country that you’ll leave to your child. If you’re a grandparent, you are doubly accountable. Don’t waste your time on trolls. Whether people agree with you or not, hopefully they’ll become engaged. Not everyone in your life should be friended with you in Facebook. Also, don’t end relationships that you wouldn’t have ended in real life over a political or religious difference in social media. If someone else does it to you, don’t waste any tears, it’s to your benefit. Every time. And always remember and never forget —- we get the government we deserve. Especially if you don’t vote. Besides, I learned quickly to read via incognito because it was impacting my Bacon/Spam/Whatever in a disturbing way.